Blog - No Nursing Home For Me! 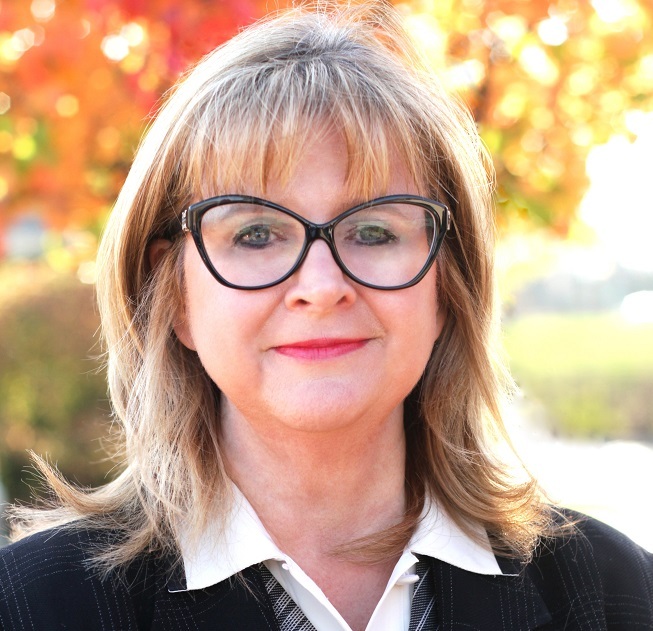 In research recently completed by Spectrem Group, Millionaire investors made it clear that living in a nursing home – or any assisted living facility – is not in their future plans. In fact, most of them anticipate they will stay in their homes and pay for someone to care for them - if their spouse is unable to do so. I presume that most of us agree with the investors who responded to our survey. My impression of nursing homes, even those that are very nice and upscale, is that they are full of old people and usually sick people. It also makes one feel that once you have entered the facility you never leave … except in a cedar box. Shudder!! Well, unfortunately, that’s probably not true for almost half of us. The U.S. Department of Health and Human Services said that 52% of individuals who are turning 65 between now and 2019 will need long term support at some point in their life. The challenge is that many of us don’t want to think about it and therefore we don’t want to plan for it. We all just believe we will gracefully and painlessly pass away in our sleep and cause no problems for our family or our spouse. 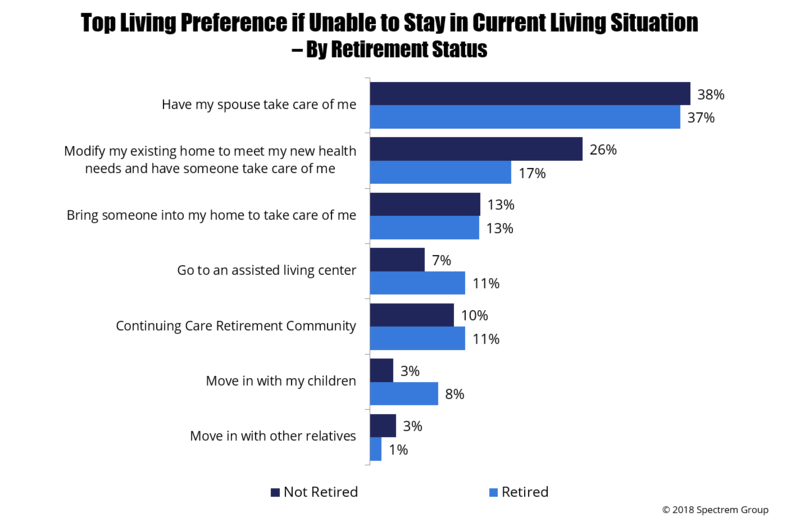 When asked about their Top Living Preference if Unable to Stay in Current Living Situation, Retired Millionaires (over the age of 50) said their first choice is to have their spouse take care of them (37%) followed by Modify my existing home to meet my new health needs and Have someone take care of me (17%). Thirteen percent will bring someone into their home to take care of them and 11% will consider a Continuing Care Retirement community. Only 11% will go to an Assisted Living Center while 8% will move in with children. Working Millionaires (over the age of 50) also plan on having their spouse care for them (38%) and 26% will Have their home modified and have someone come in to care for them. Thirteen percent will have someone come in to care for them and 10% will consider a Continuing Care Retirement Community and 7% will consider Assisted Living. Six percent will move in with children or relatives. The reality is that regardless of wealth level, investors have very high expectations of their spouses. These are difficult conversations to have with family members. Additionally, investors don’t really know where to go to identify the cost associated with some of the options identified above. Many of us have heard stories about wealthy individuals who literally went through their assets because they didn’t properly plan for health related challenges as they aged. It’s time for the financial services community to begin helping investors really plan for the various alternatives that may befall them. Dumping the decisions on a spouse who may be caring for you is asking a lot of that individual. It’s time to have true financial planning and discussions that include end of life planning. We need to provide planning services for our clients throughout their lifetime … even to the end.